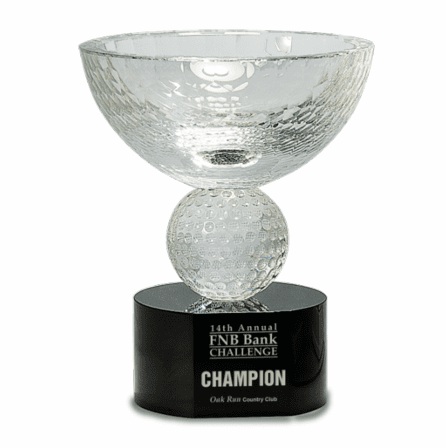 FEATURES/SPECS A great corporate gift for golf lovers, this crystal cup is mounted atop a golf ball and black crystal pedestal. 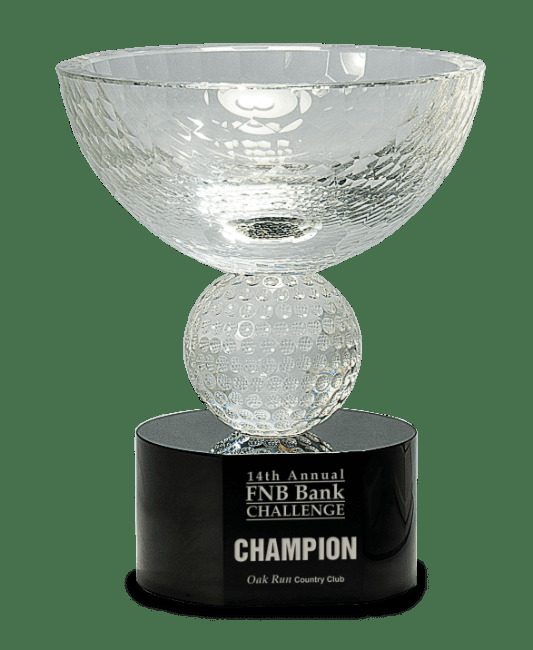 The cup and golf ball are solid clear glass and the base is solid black glass, giving this award a solid feel and a heavy weight. 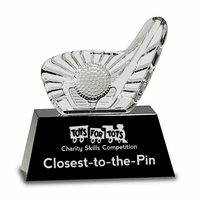 Its available in two sizes, 6" or 7 1/2". 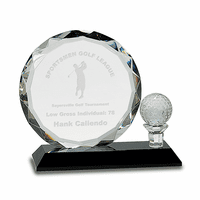 Add a personalized plate to the glass base free of charge. 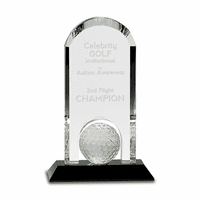 You can enter your engraving text by checking the Personalize It box above and you can attach a logo free of charge as well. All logo orders will be emailed a proof for approval before personalization is finalized. 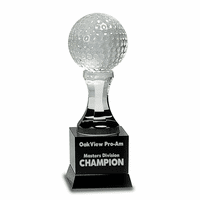 This crystal sculpture is ideal for business gifts and perfect for golf tournament s as well.